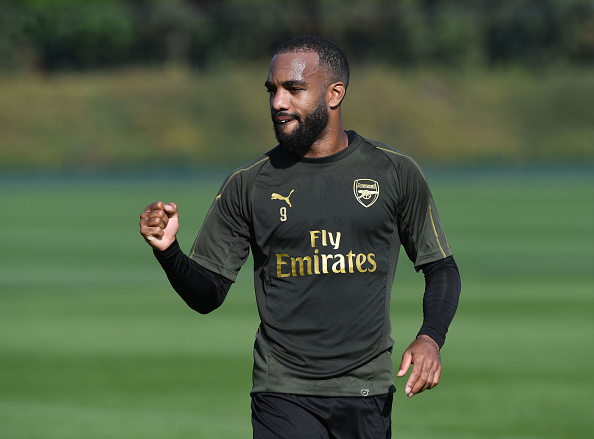 Arsenal manager Unai Emery believes Alexandre Lacazette has adapted to English Football. Lacazette has scored 14 goals in his last 24 games for the Gunners, including a brace in a 5-1 win at Fulham before the international break. He joined the Gunners from Lyon in the summer of 2017 having scored 60 times in his last two campaigns in France, that attracted the attention of Emery, who was then in charge of rivals PSG. Emery was working with the likes of Edinson Cavani and Neymar at PSG, with Kylian Mbappe also moving to the French capital last year. Despite admiring Lacazette good form, Emery is calling for further improvement from the forward now he has adapted to English football. "For him, last year, his first year in the Premier League, it was a different league than the French league also and the position also, the rhythm also, not the mentality because he has a very good mentality and he has very good chances usually to score. He is very efficient. "We are very happy but my message to him is: Every day, don't stop.